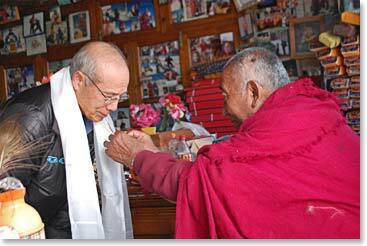 This morning we visited our famous Lama Gashi in upper Pangboche. We each got a blessing from him. It is always nice to visit with him. We had lunch in Pangboche and then we walked to Periche. Periche is at 14,000 feet and we were above the tree line. Everyone is doing very well. Tomorrow we will rest here for another day of acclimatization. 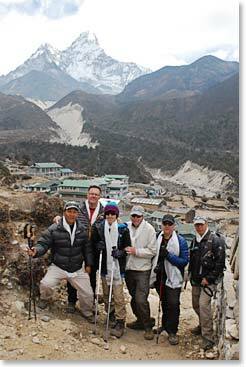 Today we are missing Dave Cohn and Min Bahadur who will stay in Panboche for tonight. Tomorrow they will go to Namche. We are all doing great! 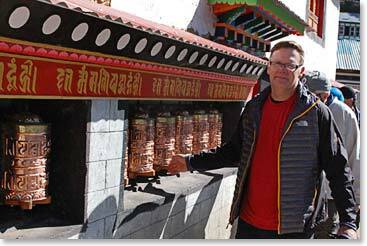 We visited the Pangboche monastery. 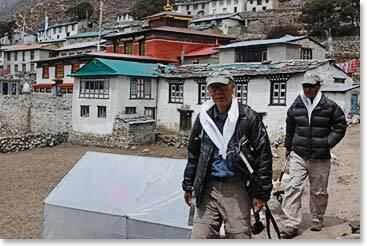 Dave and Min will spend one more night in Pangboche before returning to Lukla. The team says their goodbyes to Dave and Min.